Lovely celtic melodies with stunning arrangements and lyrics adapted from original Gaelic make this a must have for all celtic music lovers and O'Carolan collectors. Blinded by small pox as a teenager, Turlough O’Carolan was sponsored by a patron to become a harper and bard. He set out in 1690 with harp and servant. For the next 50 years, he would traverse Ireland, writing, composing, and performing for patrons and friends, and his compositions became legendary in his own time. 214 compositions are attributed to O’Carolan. 50 of those compositions survive with his lyrics, written in the Irish language. 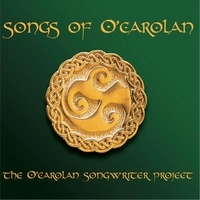 This CD features new translations of O’Carolan’s original lyrics, adapted into English song form.